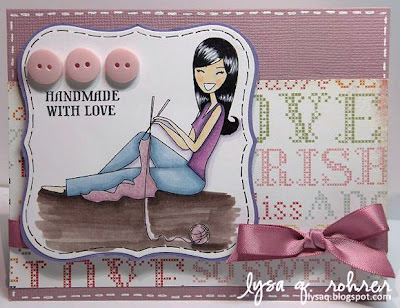 Karber's Blog: Guest Designer: Lysa Rohrer! Hi everyone! June is a special month for us here in KARBER We've had a great start to this week, featuring one of our wonderful June Guest Designers: Lysa Q. Rohrer! 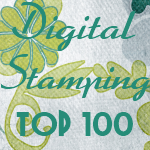 Her lovely card features a beautifully colored Knitting Jessy digital stamp, I just love the soft colors. A big thank you to Lysa for accepting the invitation! You can check her awesome creations here. Be sure to stay tuned Lysa and another wonderful guest designer will join us during this month along with HUGE surprises and announcements!!! What a great card! Really well done!